If you’re the type who dreads tax time each year, chances are you haven’t yet filed. Fortunately, this year, you have until April 17th to file your taxes or request an extension. Keep in mind, however, that just because you can request an automatic filing extension, it doesn’t mean you can delay paying your taxes. If you owe, you’ll need to pay an estimate of what’s due by April 17th in order to avoid potential penalties. And if you’re concerned about how much you’ll owe, consider these often overlooked, but easy tax-saving strategies. You can save hundreds of dollars by filing your own return. In fact, this year, everyone can file for free, regardless of income. If you earned more than $57,000, you’ll have to use the IRS website’s free fillable forms; however, if you made less than that amount, you are eligible to choose from a host of free online tax preparation software which will guide you through the filing process. If you use the fillable forms, you’ll need to follow the accompanying instructions closely. 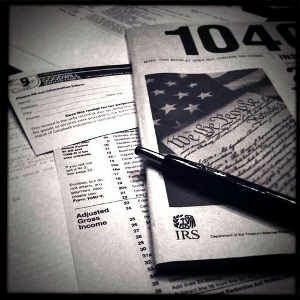 And unless you have a knack for taxes, you may still want to bring on the help of a professional for a more complicated return. Qualifying individuals who make $50,000 per year or less can find tax help in their local community through the IRS Volunteer Income Tax Assistance Program (VITA). VITA services can typically be found in libraries and community centers. And the IRS Tax Counseling for the Elderly Program (TCE) assists taxpayers who are 60 or older through a partnership with AARP. If you only file the 1040EZ, Walmart has set up in-store kiosks with Jackson-Hewitt and H&R Block where you can file for free. Keep in mind that most free federal-file services will charge to file your state return. Visit your state’s tax board website to review your free file options. You might think that because you don’t own a home and therefore don’t have mortgage interest or real estate taxes to deduct that you shouldn’t bother itemizing your tax deductions. But this may or may not be the case. What it comes down to is whether the amount you itemize is more or less than your standard deduction. For example, if you had significant non-reimbursed job expenses (in excess of 2% of your AGI), including job hunting and travel-related expenses, itemizing could make sense even if you don’t own a home. The same goes for non-reimbursed medical expenses in excess of 7.5% of your AGI. If you do itemize, you may be able to deduct a portion of your annual vehicle registration fee – check to see what portion is deductible in your state. If you contribute to a traditional IRA by April 17th of this year, you can apply your contribution to last year’s tax return. You can also deduct contributions to an SEP, SIMPLE, and other qualified retirement plans as well as contributions to a health savings account (HSA). Instead of having to cough up a large lump-sum contribution at year’s end, consider spreading contributions over the course of the year via automatic, monthly deductions from your bank account. In addition to cash donations, you can deduct the fair market value of property you donate to qualified charities. To do this, you must not only get a receipt and keep records of what items were donated, but you also need to note what condition they were in. You can refer to the Salvation Army’s guide to determine the valuation of donated items. Alternatively, many tax preparation programs will deduct preset values for commonly donated items. In fact, donating can be far more beneficial than unloading items at a garage sale. Because garage sale prices are deeply discounted off of fair market value, the amount you’ll reduce your taxes through charitable contributions usually far exceeds what you can make by selling the same items yourself. Chances are that you can utilize at least one of these tax-saving strategies when you file this year. But if not, keep them in mind for tax time next year. Make it easy on yourself and contribute monthly to an IRA, donate unwanted items on a regular basis, and create a designated space in which to store all your tax-related receipts and information. And if you’re not sure you’ll be able to deduct certain expenses — like unreimbursed job expenses — save your receipts anyway. Better yet, also pay for these expenses with a debit or credit card so that you have another record of the transaction in case you misplace receipts. What quick ways can you think of to save on your taxes? Holly Mangan is a editor for Money Crashers Personal Finance, where she manages content related to taxes, financial planning, retirement, investing, and more. VITA is a great program. When I took a tax class in college, my professor gave us the opportunity to help out with VITA. I had never heard about it before. I think more people should take advantage of the program.